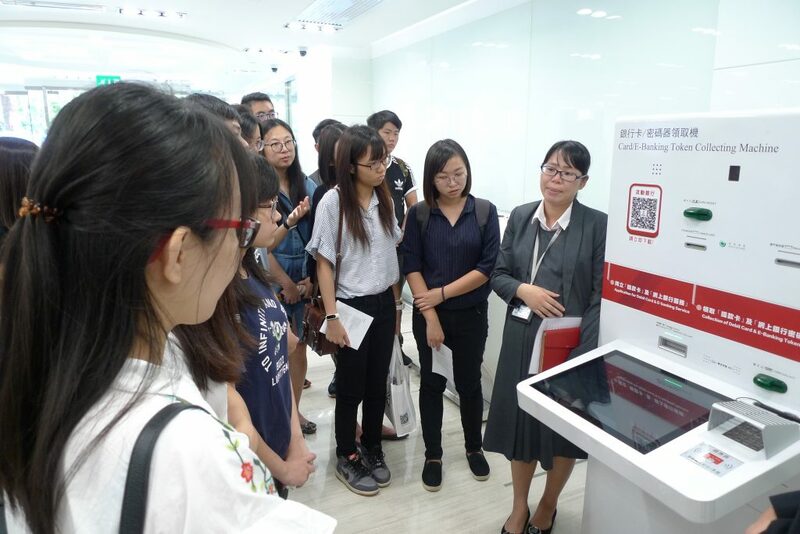 The Alumni and Development Office (ADO) and the Career Development Centre (CDC) of Student Affairs Office co-organized “Corporate Experience Scheme” to visit Industrial and Commercial Bank of China (Macau) Limited (ICBC Macau) with 17 students from different faculties and the Stanley Ho East Asia College on 27 September afternoon. 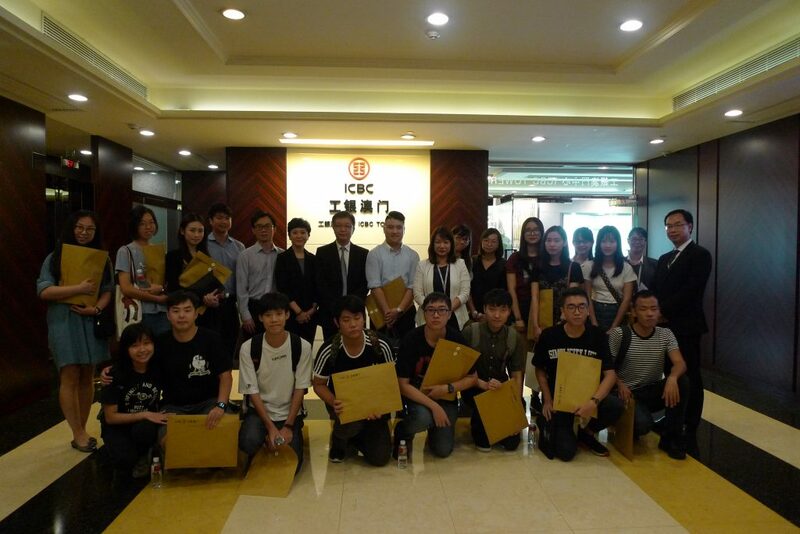 With full support of ICBC Macau, students were given an introduction on the background and business scope of ICBC Macau. 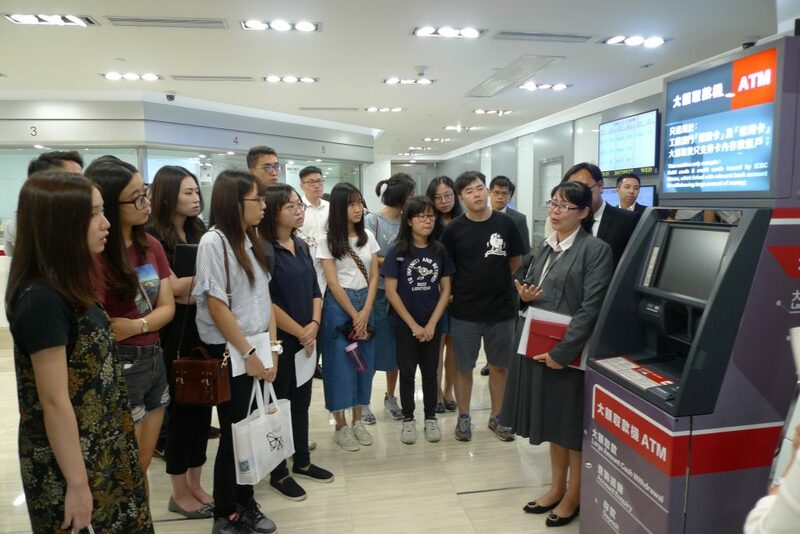 A tour to its Landmark Main Branch was arranged to know more about the daily operation, followed by a visit to the Private Banking Department. 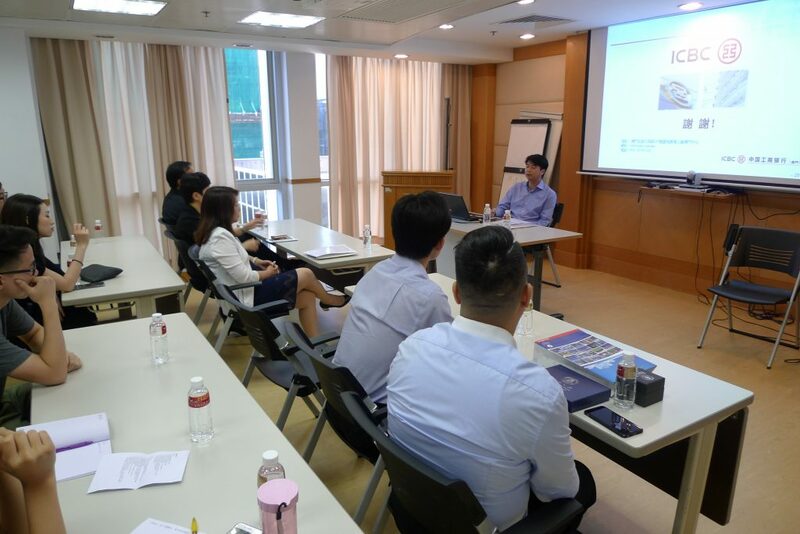 After the tour, Mr. Lam, Senior Manager of Risk Management Department of ICMC shared his work experience on risk management and the department structure. 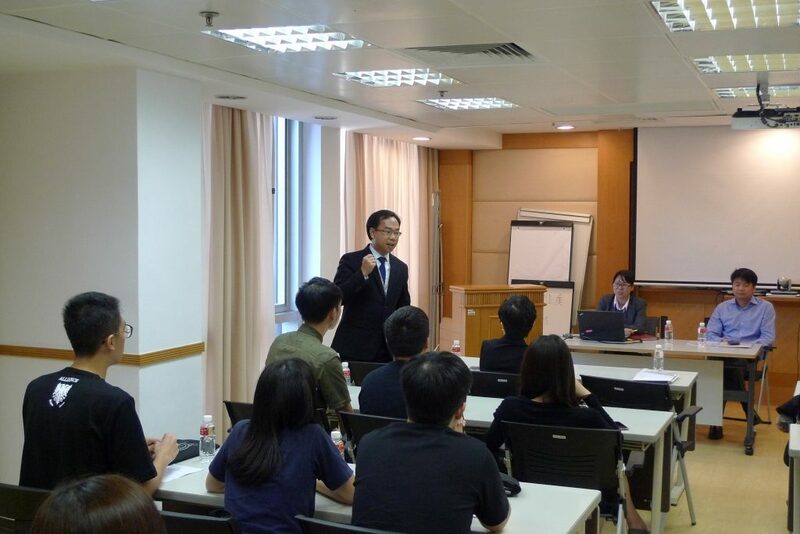 The sharing was followed by the question and answer session. 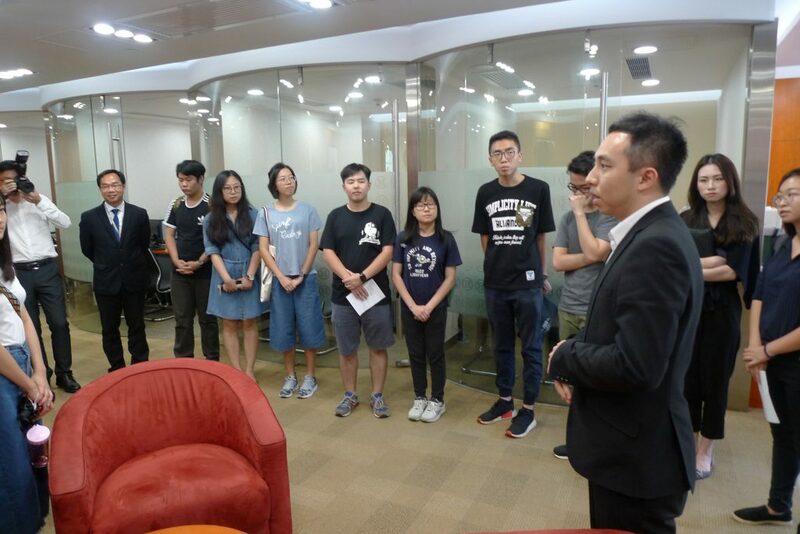 Students actively raised questions about application, candidate requirement and internship program. 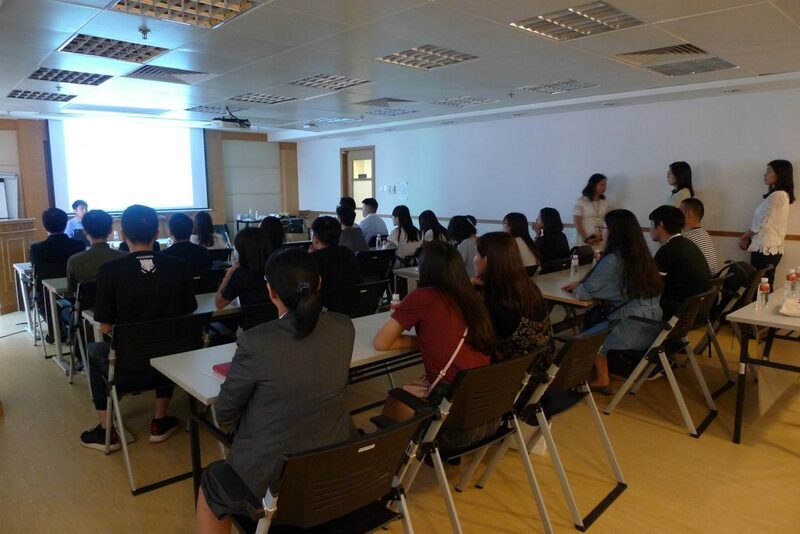 Ms. Florence Vong, General Manager of Human Resource of ICBC Macau shared the tips on the requirement of entering the company, future development and staff training. The visit concluded with an exchange of souvenirs followed by a group photo.